Homemade Wipes: Many Uses, DIY Wipes for Your Hand Bag! Home DIY Natural Blog Cleaning Homemade Wipes For Your Hand Bag, So Many Uses! 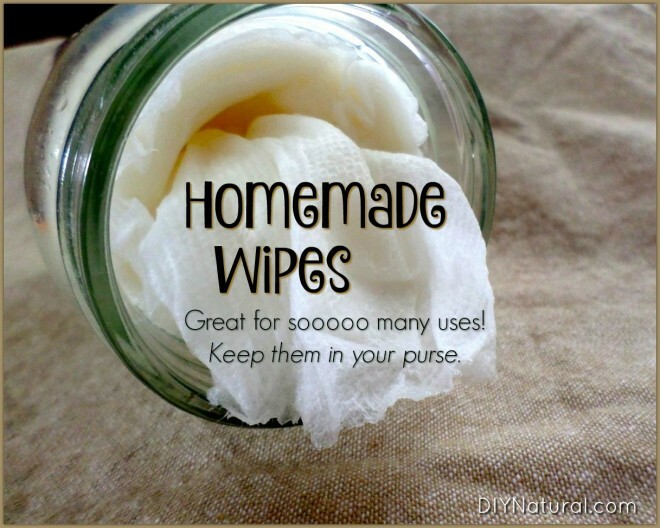 Homemade Wipes For Your Hand Bag, So Many Uses! Homemade wipes, great for many uses! February at the grocery store means germs everywhere! From shopping carts to canned goods, there’s no escaping the coughs and sniffles of cold and flu season. Unfortunately, I always seem to be bringing my toddler with me to the grocery store, which means putting him in the shopping cart. It seems that I always end up with the cart that has something sticky or yucky right on the handles. Of course, my toddler is teething, which means grabbing those handles, then putting his little fingers back into his mouth. That’s why I always bring my own DIY wipes with me to the grocery store. Before I put my toddler (or my hands!) on the shopping cart, I wipe down the handles and sides thoroughly. While I’m doing this, I get lots of looks from other shoppers, but I keep wiping anyway! Germs are the last thing we need right now. I had been buying commercial disinfecting wipes to use on our shopping cart, but then I read the list of ingredients. Among them were: polysorbate 20, fragrance, parabens (4 different ones! ), and the active ingredient: Benzalkonium Chloride. Pretty much some of the worst ingredients that can come in contact with your skin. The specific “cart wipes” offered a the grocery store entrance were just as bad, if not worse, than the ones I had in my purse. So naturally, I decided I could do better. I began searching for a more natural cart wipe that would have friendlier ingredients and a lower price tag. After making my own DIY Hand Sanitizer a few years ago, I learned that one of the few ingredients that really kills germs is alcohol. Specifically, the CDC states alcohol (both isopropyl and ethyl) are most effective against bacteria, viruses, and fungi when alcohol makes up at least 60-90% of a solution. My second favorite ingredient for disinfecting is tea tree essential oil. It is extremely effective against viruses, bacteria, and other nasty germs, plus it smells clean. These easy, disinfecting, homemade wipes are perfect for on-the-go cleaning. With just three simple ingredients, you’ll save time and money while promoting a healthier environment. Cut paper towel roll with a sharp knife to fit the height of your container. (Note: If your container is thinner than the paper towel roll, you’ll want to make sure you cut your paper towel roll to ¾ of the size of the container.) At this point you should be able to easily slide the cardboard tube out of the paper towel roll. Push your cut paper towel roll into your jar, squeezing it to fit if necessary. In a separate bowl, mix alcohol, water, and tea tree essential oil. Stir well. Slowly pour the alcohol mixture into your jar containing the cut paper towel roll. You should be able to see the liquid soaking into the paper towels. When it looks like the alcohol mixture has come into contact with the entire roll of paper towels, stop pouring. If it looks like the bottom of the paper towel roll is still dry, mix a little more of the alcohol solution and continue to pour. Cap your container and let the mixture soak into the paper towels for 5-10 minutes. After 5-10 minutes, open the jar and gently pull the first paper towel from the middle of the roll (this will allow the wipes to come out of the container in an easily dispensable way). At the grocery store, rub down cart thoroughly with 1-2 wipes. Wait 30 seconds before grabbing handles or placing child in cart. Discard wipes in the trash after using. These homemade wipes will work on a variety of surfaces, not just shopping carts! I use them in public restrooms, in the car, and on so many yucky messes. Just remember to keep the wipes out of reach of children and away from flames as they do contain a high percentage of alcohol. Katie is a wife, mother, blogger, aromatherapist, soapmaker, and lover of all things DIY. She blogs at Natural Minded Mom. You can also find Katie on Google+. 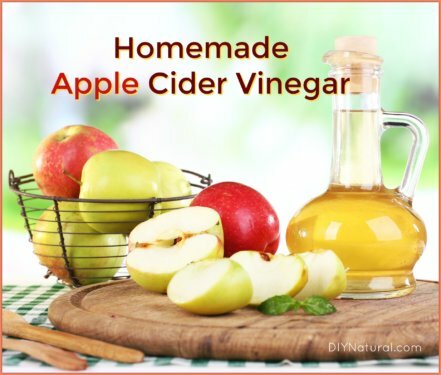 Learn how to make apple cider vinegar (ACV) because it’s so useful in the kitchen and also for cleaning. And homemade apple cider vinegar is simple to make! 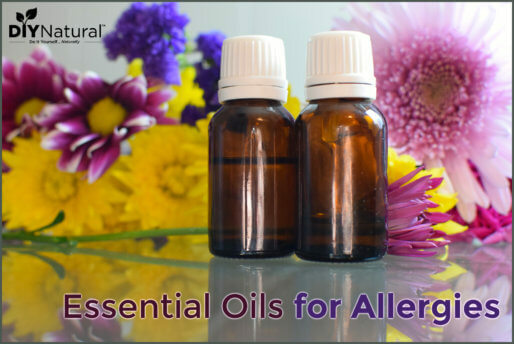 This list of essential oils for allergies will help when springtime allergy symptoms act up. And we include blend recipes for both diffusers and inhalers! 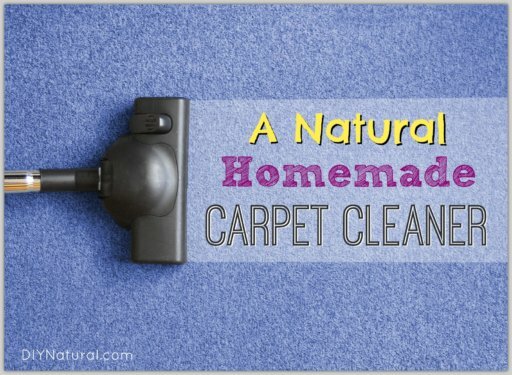 This DIY natural homemade carpet cleaner spray works on tough messes and dirty carpets. It gets rid of smells, is all-natural, and is simple to make and use! Glenda, I would google this as there is much info online re the safety of EO’s around animals. I understand that most EO’s have some level of effectiveness when it comes to killing germs but again, check online to be on the safe side. I have used cinnamon leaf, thyme, oregano, lavender, and others but I have no idea if they can be used around cats and dogs since we lost our beloved boxer many years ago. I still grieve. Glenda, you can use lavender and lemongrass oil instead of tea tree. You can also create your own flea resistant spray by adding these 2 to a little olive. I’ve been using this for 3 years to keep my home and dogs flea free. BTW: When using eo’s around animals—open the bottles away from the animals but watch their reactions, those reactions will clue you whether your animals will accept you using them on you. I can’t speak to other EOs, but I do use these alot because they are safe for dogs and cats. Hi Glenda, I wouldn’t use these wipes around pets, but I would say that they are safe to use on surfaces outside of your home. The NAHA(National Association for Holistic Aromatherapy) does not recommend using any essential oils around cats and few oils around dogs. (For reference, this is a great article: https://www.naha.org/assets/uploads/Animal_Aromatherapy_Safety_NAHA.pdf ) . However, you can make these wipes without any essential oils and they still should work effectively. I worked as a preschool teacher for underprivileged children, and we had to stop using hand sanitizer due to the alcohol content. It was proven to be poison to little ones. Couldn’t you use Aloe Vera and Tea Tree Oil together instead of alcohol? I have used Aloe Vera in my DIY disinfectant sprays, with essential oils. I love it and InstaNatural has the best I have tried. I am not affiliated with them in any way and order their products from Amazon. I love trying different combinations of EO’s and sometimes use several at a time in my concoctions. Cinnamon leaf seems to be a very good at killing germs as well as many others. Hi Barb, so you use the InstaNatural aloe with essential oils for disinfectant? Do you add anything else? Thank you. Stella – the active ingredient in this blend is alcohol (per the CDC’s guidelines, see this article here: http://www.cdc.gov/hicpac/disinfection_sterilization/6_0disinfection.html ) . While you could use Aloe Vera and Tea Tree oils, they wouldn’t be effective at cleaning germs. As a former teacher myself, we were always told that nothing is more effective than simple hand washing when it comes to children’s germs. Also, while I love Barb’s idea about Cinnamon leaf essential oil, you should never use Cinnamon leaf or bark essential oil around children (or even on the skin of adults and children a like). Both are are considered “hot oils” and can burn the skin very easily. Thank you for this idea! I will substitute witch hazel since alcohol can be so drying to the skin with repetitive use AND replace the tea tree oil with lavender or pine depending on who will be using them. I’m planing on something for the car, purse and backpack. Each can use a different size container. I won’t use bamboo clothes even though they are renewable, the processing to soften them wrecks the environment where it’s processed. I love the Viva brand towels due to their size and absorbency. For those interested but not knowledgeable about witch hazel, I use dickinson brands. Dee, great ideas! Just a note: witch hazel has a much lower alcohol content than pure alcohol, so your wipes may not work as effectively. Have fun DIYing! What do you think of replacing the alcohol with Hydrogen peroxide (3% concentration)? Belinda, I can’t recommend switching to hydrogen peroxide as the alcohol is the active ingredient in this recipe. Hydrogen peroxide is a very good disinfectant. It kills many germs (H1N1 for example) faster than alcohol. Unlike most cleaning wipes it doesn’t require rinsing off of food preparation or eating surfaces. I don’t know if it would maintain it’s efficacy for long in a homemade container. I assume the brown bottle is for a reason. That’s correct Tamy…hydrogen peroxide breaks down and loses its effectiveness when exposed to light. Hydrogen peroxide could work as long as an opaque container was used. Love this! I do have some essential oils but not tea tree. What other oils would you recommend for this? Malena- you could use Lavender, though it won’t be quite as effective as Tea Tree. I wonder if the bumboosa (bamboo) baby liners would work since they are biodegradable, tree free & eco friendly? Alice – I think those are definitely worth a try. I’ve never tried that brand of liners, but we do cloth diaper and I find that most liner brands are more strong than paper towels, but less absorbent. I used Sparkle for this DIY. I believe Bounty would work just as well. Some of the less expensive brands don’t hold as much liquid, so you may want to cut down on the amount of liquid you use. Also – make sure you are pulling paper towels from the middle of your roll (so where the paper towel tube was). The first one was tricky for me, but after that the towels came out easily. Bounty has always worked for me. I don’t know whether Costco still sells these, but I bought a huge box of heavy duty paper towels back in the automotive section I think. Seems to me, I have seen these same heavy duty cloths at Home Depot too. I also keep small baby wash cloths in my car to use with my DIY antiseptic spray that I keep. They really come in handy for all kinds of things and I feel like I’m not adding to landfills when I use those instead of paper products. There are small makeup microfiber clothes in WalMart that are also wonderful to have on hand. Hope this helps. I saved a baby wipe container, the flat ones that my DIL had from when she used store bought and made my own. They hold about ten to twelve folded up paper towels and take up no room in my purse. I add several of my favorite essential oils to the mixture. I also leave a small plastic spray bottle with the solution in my car. Use it to spray my hands after getting gas. Has so many uses. Barb – I love the baby wipe container idea!! Great idea!! So the wipes are made in a jar. How are they to be carried with you? Hi Fran – at the top of the page in the cover photo for the blog post is exactly how the wipes should look. They fit down in the container just like they would on a paper towel roll.